At Private Investigators Leeds we have over 25 years of experience in conducting Private Investigations in Leeds and the surrounding area. Our Leeds based operatives have extensive local knowledge, having conducted cases that include, bug detection sweeps in Roundhay, pc forensics in Rothwell, and email hacking in Thorpe on the hill. Feel free to contact us day or night on Leeds 0113 335 0500. You can also email us on contact@privateinvestigators-leeds.co.uk. 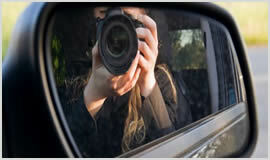 We conduct our private investigation services across Leeds, Roundhay, Rothwell, Thorpe on the hill, and Bramley.